We are often asked what we all bring at a delivery. We are happy to demonstrate the high level of preparedness when we attend an out-of-hospital birth. 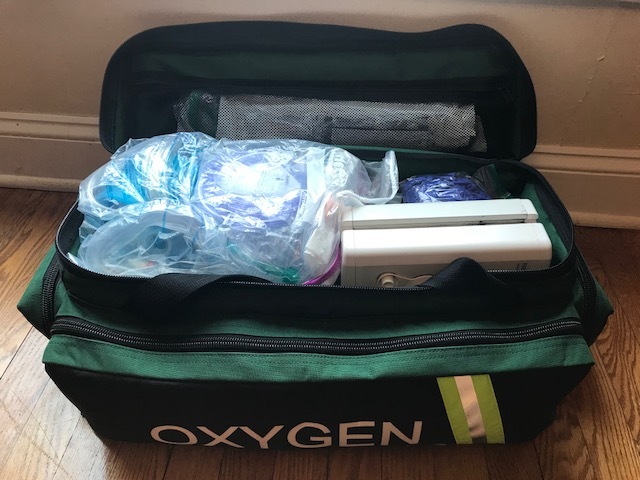 Besides the common midwifery equipment and remedies such as tinctures and homeopathic remedies, we also bring at every birth about the same emergency equipment than EMTs do or that a birthing center has. And because we never know when we are called to a delivery, we carry our equipment with us all the time. We mostly use herbal tinctures, essential oils and homeopathy but should these remedies not be sufficient, we also carry most medications commonly used on a maternity ward such as IV fluids, IV antibiotics, oxygen, medications to stop the bleeding, etc. 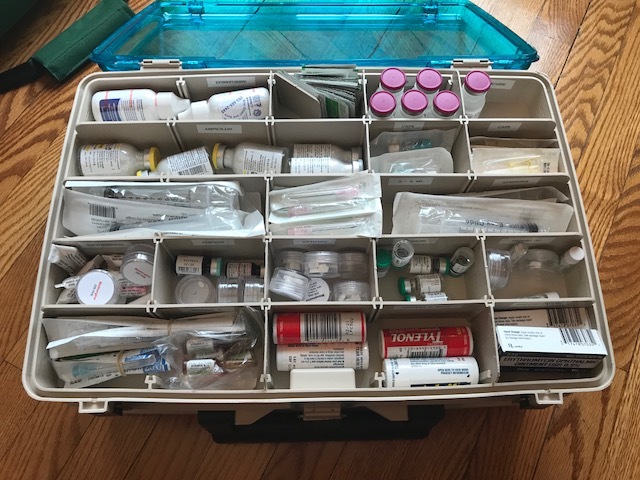 Tucked away within the delivery bag, are urinary catheters, foley catheter bag, sharps container, syringes, needles, sutures and sterile suture kit, sterile speculum and additional sterile instruments, sterile towels, sterile 4×4 packs, sterile and clean gloves, Hibiclens, bulb syringes, cord clamps, amnio hooks, sterile birth kits, flashlight and a headlamp. In my birthing tool bag is an electric heating pad to warm up towels or use when mom complaints of afterpains, we have a rebozo, peanut ball, and equipment to draw blood if needed.